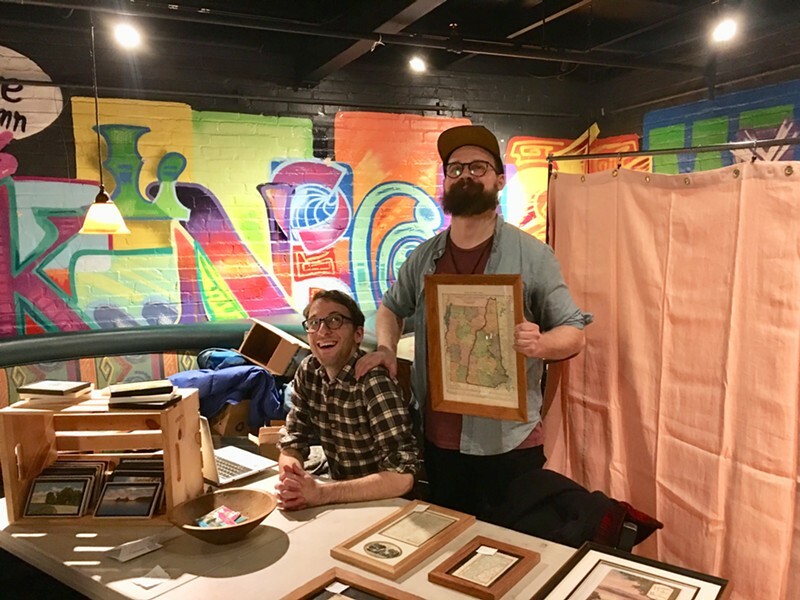 Thursday evening might not seem like the ideal time for a shopping spree, but that's what it became for some folks at ArtsRiot. 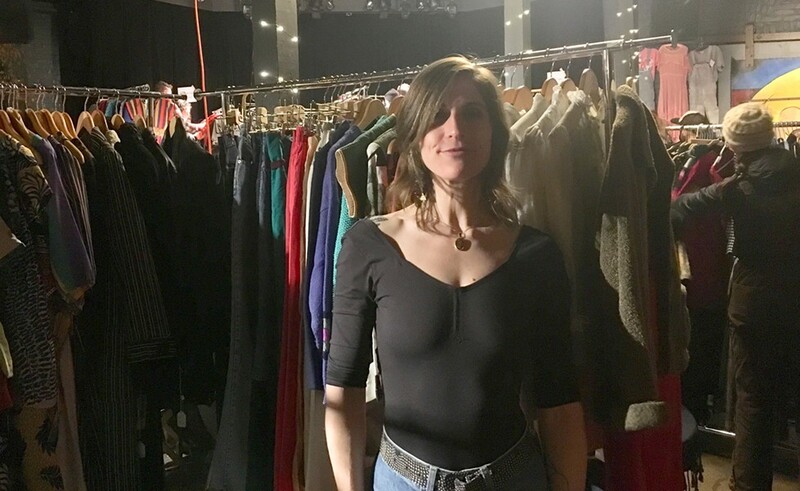 The first Vintage Pop-Up Market, organized by Sam duPont and Jenn Jarecki, brought together 11 local vintage-goods sellers under one roof. Some of the vendors may be familiar to Seven Days readers. The paper featured duPont's Project Object Vintage on its Style Points blog last year. In addition, the Getup Vintage VT from Montpelier made an appearance, as well as Burlington's Tiny Tick Tock. 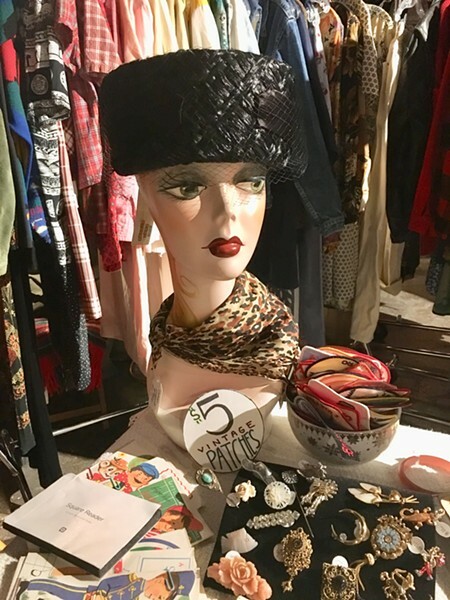 Many vendors at the ArtsRiot event have booths at the Vault Collective, including Rascal Town Vintage, RataGlam, and Jarecki's Reel Vintage. The Vault Collective opened on Cherry Street last August. Other vendors were new to the scene and were selling to the public for the first time, such as Charles and Ted's Excellent Antiques and Sabine Parker, who was selling Kuchi jewelry from a yet-to-be-named table. The wares were an eclectic mix of clothing and home goods. The Ardent Forager's table mixed brass military laundry pins with a dictionary and small pressed-glass bottles shaped like cabins. Charles and Ted's Excellent Antiques featured rows upon rows of framed vintage postcards graced by idyllic Vermont tableaus. Anastasia's Closet repped everything from high-end Gucci loafers to a black-and-white cheetah-print jacket from Chicos. 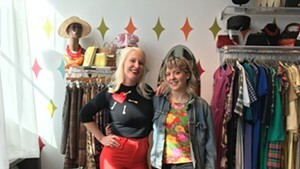 Billie Jean Vintage showed off its signature '50s numbers, as well as broaches, plastic bangles, pillbox hats and quirky postcards. The shop, run by cousins Meghan and Diane Jean, is moving its retail front from Stowe to Burlington's Battery Street in late February. 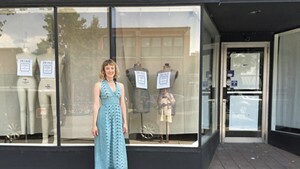 Meghan says they're moving the shop because of how well its clothing did in the Vault Collective and because Burlington is a higher-traffic tourist area. It may seem counterintuitive to gather all of your competitors under one roof, but the venture seems to be paying off for these vendors. Jarecki writes by email that events like it are rife with benefits. "Sellers get the chance to interact with each other," she says, "which is a true treat, because often we see one another's pieces around town or follow each other on Instagram but don't have the opportunity to engage directly. Pop-ups give us the opportunity to work one-on-one with clients, to learn what ... clients are looking for, what styles they are drawn to, how they shop — these are incredibly helpful bits of information as one heads out on the hunt for 'new' pieces." And, she notes, there's a definite market for vintage here. "I was pleasantly surprised to learn how large the vintage community in Vermont really is upon coming from Pittsburgh," she writes. "I suppose it's not surprising in a fashionable little state like ours [that] shoppers are drawn to more sustainable methods of purchasing 'new' clothes. Buying vintage is an excellent alternative to supporting the toxic, resource-draining, industrial clothing complex. Plus, these folks are supporting local shop owners. Win-win!"